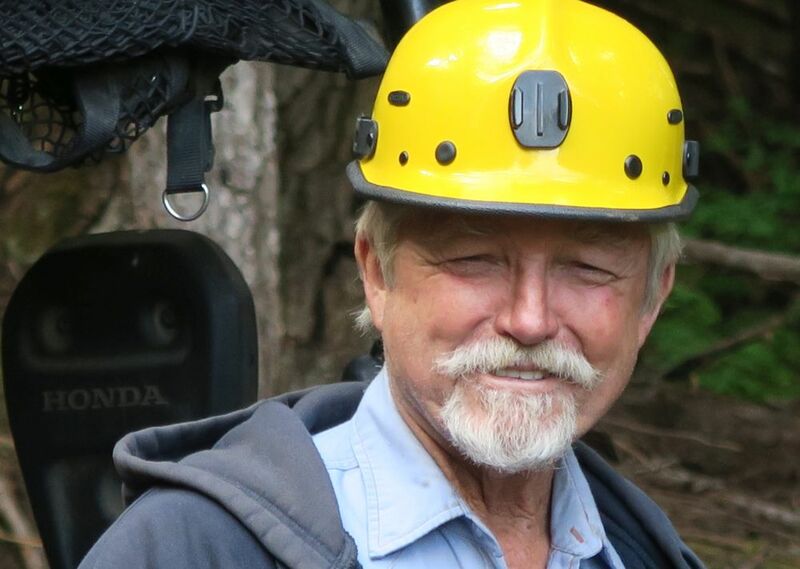 It may not get the high falutin’ critical chatter that certain shows do, but Gold Rush, the top-rated series on Discovery, has a rabid fan base and continues to dominate a network awash with shows that are ratings juggernauts. Gold Rush is heading into Season 8 and boasts a core cast as disparate as chalk and cheese. There are three key miners featured, each full of their unique quirks but who exhibit predictive behaviors: “Viking” Tony Beets, needing sub-titles and cursing a blue streak, and heir apparent Parker Schnabel, always seemingly cocksure that he is going to take the win. The third cast player is Todd Hoffman. And though he is neither the entertaining foul-language wordsmith like Beets or the swoony darling like the youngest miner, Parker, Mr. Hoffman is no dud. His viral video of the classic Paul Simon-penned song The Sound of Silence gives people the chills in its profoundly delivered performance and shows this guy has the goods when it comes to a singing voice. A devout Christian, Hoffman’s faith was put to the test as he slogged through a hellish Season 7, losing one of his main men, Dave Turin after a nasty fight erupted between him and Hoffman crew-member Trey Poulson. In our exclusive interview below, Hoffman gives insight on what happened and also teases that a career in singing and touring with a “major country star” is in the works. Also, Parker might not be the only one with a spin-off Gold Rush show. We also learn that there’s a very good chance Todd Hoffman’s pitch to the network for giving mining greenhorns a chance to find gold may actually be fleshed out for a future Discovery megahit. Hoffman, Schnabel, and Beets all return for Season 8 next Friday, October 13, as millions of loyal viewers will see a massive wager made (for charity) and the three men sluice, sift and dredge for mother nature’s most prized mineral: Gold. Monsters and Critics: Todd, you are an Oregon native. This season, where are you going to be mining exactly? Todd Hoffman: We’re out in Fairplay, Colorado. M&C: Now that Dave Turin is no longer part of your crew, can you tell me about your new crew, including your son Hunter and your dad Jack? TH: Yeah! So my son [Hunter] is kind of having to step up and fill that role. He really wants to do it but he’s young and everything that comes along with that. So you’ve got big shoes to fill, and I’ve got Trey [Poulson], and Andy [Spinks] is running our dirt work. Everybody is kind of stepping up to fill that spot. What you’re going to see, though, is my son really trying to figure out if he’s going to try to take over this whole thing at some point. It’s some really crazy and interesting things that are coming and some really devastating things too. M&C: Devastating in what sense? TH: I can’t really talk about it but wild stuff [is] coming. M&C: Your two nemeses, Tony and Parker, how would you describe them to someone who didn’t know anything about the show? TH: Tony came to Canada as an immigrant. He’s had to scratch and bite and tries to make a living in an industry that’s really difficult. He was a foreman for Oregon guys that owned Paradise Hill and they were crab boat captains, the crab boat guys. They funded Tony, who was the foreman up there. He’s seen a lot of things come and go, a lot of people come and go. Tony is a survivor. You could probably put the guy on Mars and he’d scratch out a living somehow. Parker comes from a long line of very wealthy mining and logging guys. I’d say Parker comes from…his grandfather was the fifth largest land owner in all of Alaska. He comes from a long line of loggers and miners. He just grabbed the bull by the horns, Parker, and took off with his own operation. Hats off to him. But, I’m totally different than either one of those guys. I’m not out just for the almighty dollar, I actually love my team and they’re more like a family. I’m not just running a business, I’m actually kind of running a family. Totally different. If it comes down to me getting more gold or me treating my team right, I’ll take that choice rather than push my team. All my guys, they’ve all…anybody that’s ever left wants to come back, including Mitch [Blaschke]. Anybody that’s ever left, I’ve treated everybody fairly. It doesn’t mean they may not like me but, I guarantee that they’ve been treated fairly. I don’t know, I’m trying to be a Christian and it’s not always easy, especially in the gold mining business.You have to make difficult decisions. And my decision was, ‘I’m not going to fire either one of you, I want you guys to learn how to work this out.’ That was my answer, so Dave quit. I would have liked to see reconciliation and those types of things because I really think we could’ve shown America how our team handles very difficult problems. We could’ve really shown pride. We could’ve shown a different path than how everybody else handles it. I don’t think he accomplished that. I think that could’ve been handled better, maybe by me or everybody else. You have those kinds of regrets when those things happen. You’re constantly looking back and thinking as a leader, ‘Maybe I could’ve changed the course of that situation, I don’t know.’ You ask God for forgiveness and try to keep moving forward. So, all these guys are going to have to find out if they step up and fill those shoes. Does he leave a hole or do we come together? That’s kind of how I feel about that situation. We’re looking at getting together and singing a song together as soon as I get home. TH: I can’t say it because I don’t want to throw it out there and the contract is not in writing yet. I have a production company, I own a piece of a production company. My partner is Jose Behar, called Zum Media. I am kind of a smaller partner in this because I’m always out gold mining. Behar runs Zum Media and I am actually a minority partner. I do fifty to a hundred thousand downloads a day on my songs and I’ve had enough people tell me that I should take it seriously so, I’m going to try. But I don’t know what that means so that’s kind of where I’m at. I’m at ground zero in music. It’s going to be kind of interesting to see what happens because there is a lot of excitement, people are calling me. You wouldn’t expect, you’d probably laugh if I told you this a year ago, nobody would believe me. M&C: You’ve got this viable career. You’re a TV star, you’re a miner by profession and now you’ve got this opportunity in front of you that’s actually being validated by hard numbers and people’s demand. Is it hard to walk away from being a gold miner to sing? TH: Well, I don’t know if I have to walk away from being a gold miner because I have six months off. So maybe I can try it. Maybe I could do both. I don’t know. I’ve never done that before and I don’t know what that entails but I feel deep down like I can do it and I’ll be singing in arenas some day. As ridiculous as some people may think, I think I got a shot at it. A real shot and I’d like to explore and see where it goes. M&C: Tell me something about your father, Jack, that nobody knows. The traits that you admire about him? TH: Well, he is just pure at heart, man. A Godly man, and this didn’t happen late in life. He was always like that. He was always helping people out or reaching out to people ever since I was a kid. There were always people at dinner that needed help, or we were always helping people. My dad is really a true Christian. I mean a lot of people say they are and act completely different. Not my dad. He didn’t make a lot of money and he wasn’t crafty at business or any of that, but he’s pure at heart. He was a good man. That’s probably why people love him so much — they can see who he really is. I mean, what you see is what you get. He is at this little school in Africa and he flies to Ghana all the time. I wouldn’t say all the time but he’s headed back there again just now. He fosters a bunch of kids personally and then he gives money to the school. Basically, they feed the kids at school and they send them to the school. There’s a little branch where the women start little businesses. It’s all pretty neat. He’s pretty involved with it. He is just a good dude, ad he has been a great example. He was always 100 per cent faithful to my mother. A lot of guys can’t say that or can’t say that their parents…that they’ve been married for fifty-something years and never cheated on each other. Always been faithful and always gave 100 per cent to their children. For that, I don’t know, you can’t repay that. You know? You just can’t repay that. M&C: How would you describe your son, Hunter, and what qualities he has. He’s become this young man in front of your eyes and in front of the viewing audience. What are you most proud of in your son? TH: Well, his work ethic has taken off this year and he’s had to make some decisions. If you watch Gold Rush you’ve seen a young man, Parker, make decisions with people….and I’m pretty proud that you can compare Hunter with Parker, because I’ve watched him make decisions with people and I think you’d be really proud of him as far as decision-making and how he treats people. So, he’s got a lot to learn. He’s a good-looking kid. He’s got a lot of girls after him and stuff. He’s not going that direction. He’s just kind of trying to stay focused on what he’s got cooking. So, I don’t know. Big opportunity but he’s got, he’s going to have to really step up and if he doesn’t…you’re going to see him make mistakes, or you’re going to see him do really well. But all in all, I think you’re going to look and say, you know what? That’s a damn good American. That’s what we want our kids to be. You don’t see that a lot out there with a lot of these youngsters. I think he’s going to be an instant fan favorite. An instant hit and as far as I’m concerned, he can take over the whole thing if he’s ready. If not, he can’t, you know. So that’s just the way it is. M&C: Circling back to the show, Discovery and all their press are putting it out there that you and Parker have this huge wager this season. Can you elaborate? TH: I bet Parker $100,000/100 ounces — but it’s supposed to go to charity. Now, whether Parker gives it to charity, or if I win and I give it to charity, it’s in our honor…so I don’t know if it made the show but it’s supposed to go to charity if I win. I’ve already picked my charity. Or if he wins, I don’t know what his charity is but 100 ounces. A 100-ounce bet. We shook on it and that’s over $100,000 bet. Sometimes you have to stick your neck out, you know? If you think you’re going to win, you have to stick your neck out and go for it. M&C: What was the charity you selected? TH: Young Lives. Young Life is a kid’s program [where] kids come out and camp and gets together. It’s a positive group where kids can come meet other kids. I’ve developed [and] built my own club, and if I win that 100 ounces, the money is going straight to Young Life. We have 50 kids once a week that meet at my place. We send about 340 kids to camp every summer and it’s life-changing. They get a chance to talk about their problems. They get a chance to talk about their future. They get a chance to get counseling. I don’t know, it’s just unbelievable. Young Life has been around forever. It’s impacted millions of high school kids and junior high kids around the United States. I already give them money. M&C: Do you think that Gold Rush will have a new version or a spin-off with your son Hunter and maybe Parker and the younger guys down the road? Like a Gold Rush: Millennials? TH: Here’s what I think is going to happen…I think that there’s a fat kid with a gray beard, a chubby kid with a beard that’s been working on the show for three years, who gives an opportunity to a person out there that’s always wanted to mine — and I’m going to give them a chance to mine. I’m going to give a greenhorn a chance to make it. M&C: Are you pitching this to Discovery? TH: That trumps everything. That trumps Parker running around the jungle. That trumps me going around doing whatever. That trumps it because I want to give a hand up to all the fans, all these years that…I would love to try this. I don’t have the money to do the machines. I’d like to open up that door. I can’t say anything about it because I don’t have anything in writing but I tell you what, I think it’s a 90 per cent chance it’s going to happen and I think people are going to see something they’ve never seen before — and that is an opportunity. A chance of a lifetime given to several greenhorns to actually live out their dream without dying and never having tried to live that dream. Picture this: Fifteen [Gold Rush] fans with their bags, and there’s a pile of equipment. They’re standing on gold under their feet. What are you waiting for, guys? Because you’re going to take that gold home. Or you’re going to get fired trying. One of the two. I think that that would be the show, giving a hand up to those guys. I don’t think that you could beat that show on TV ever. Cable, Netflix, Amazon. It doesn’t matter. I don’t care. That show there, I think it would the best show on television by far. M&C: Discovery’s next number one hit. TH: Maybe so. Maybe so! 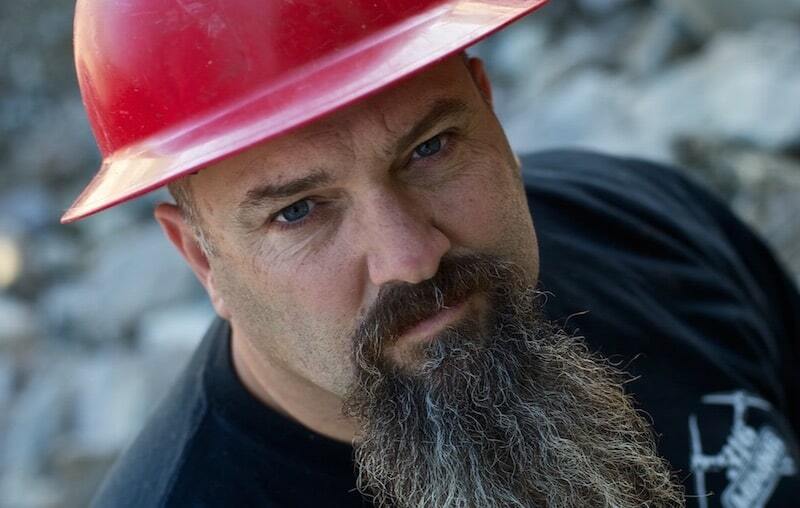 Gold Rush Season 8 will premiere on Friday, October 13 at 8/7c. Before the show starts the new season, Discovery will also be delivering an all-new live event featuring Todd, Parker, and Tony, who will field real-time audience phone calls and Facebook questions throughout the broadcast.